Unknown to many, Arunachal Pradesh is nowhere deprived of historical as well as natural beauties. In spite of that, it remains one of the least-explored states in India throughout the year. From magnificent forts to age-old monasteries and ancient temples to incredible hills, Arunachal Pradesh harbours everything within its boundaries. To everyone's surprise, it has also been inhabited by several great sages and Hindu lords. Hence, you can find a myriad of religious sites here. One of these prominent religious sites is Parshuram Kund, which is believed to have been in existence for thousands of years and is visited by thousands of devotees every year. Did you know about this wonderful yet unexplored site? If not, then it is high time you start considering Northeast India seriously. Who knows, you might end up discovering a new place? So, let's move on for the time being and learn in detail about Parshuram Kund in Arunachal Pradesh and what's so special about it. As the region in and around Parshuram Kund is covered with natural beauties in the form of hills, rivers and forests, the climate remains favourable throughout the year. Hence, you can visit Parshuram Kund anytime during a year. However, if you are looking to savour this ancient site only during the period when its region is absolutely veiled with lush greenery, then the best time to visit is from October until the end of April. Located on Brahmaputra Plateau in the Lohit district of Arunachal Pradesh, Parshuram Kund is a prominent Hindu pilgrimage centre dedicated to Lord Parashurama, an incarnation of Lord Vishnu. Apart from its religious significance, it is also popular for its historical importance as it is believed to have been in existence since time unknown. There are several local legends related to its formation and survival. The most popular and prominent one says that when Lord Parashurama killed his mother with an axe on the orders of his father, the axe got stuck to his hand as he had committed a heinous crime by killing his mother. So, in order to wash away his sin, he came to Lohit river in Arunachal Pradesh. As soon as he put his hand inside the pristine waters of the river, the axe got detached from his hand. Since then, the site has been a significant place of worship and is known as Parshuram Kund. 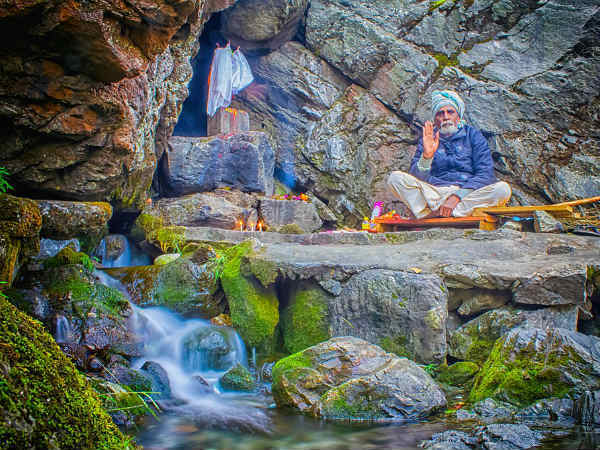 Today, it is visited by thousands of Hindu devotees and sages, who come here to expiate for their sins by taking a dip in the holy waters of Parshuram Kund, especially during the festive season of Makar Sankranti in January. Isn't it an interesting place? So, what do you think of getting yourself to this wonderful place surrounded by hills, rivers and forests and learning in detail about its religious as well as historical significance? Parshuram Kund is not only a historical or religious site but also a prominent site of natural importance. Where else you can find such religious sites surrounded by beautiful sky-high mountains, pristine streams, dense rich forests and lush green hills? Therefore, you can also go trekking, boating and camping amidst its beautiful expanse. If you keen to explore more religious sites like Parshuram Kund, then you can also visit nearby Parasurameswara Temple, another ancient temple dedicated to Lord Parashurama which was built during the 2nd century and interests a lot of history lovers. Apart from all this, you can also indulge in meditation and introspection amid its pristine surroundings and get home an everlasting experience of savouring heavenly nature. By Air: If you desire to travel by air, then you need to take flight to Dibrugarh Airport, which is located at a distance of around 200 km from Parshuram Kund, and then from there you can hire a taxi or catch a bus to Lohit, where Parshuram Kund is located. By Rail: The nearest railway station from Parshuram Kund is located in Tinsukia at a distance of about 160 km. Once you have reached the railway station, you can hire a cab or bus to Parshuram Kund. By Road: The region of Parshuram Kund has a good road connectivity and hence, you can easily approach it by road.